/ Modified jan 27, 2015 10:11 a.m.
A Mediterranean diet consists mostly of fruits, vegetables, whole grains, beans, nuts, fish, olive oil and red wine. 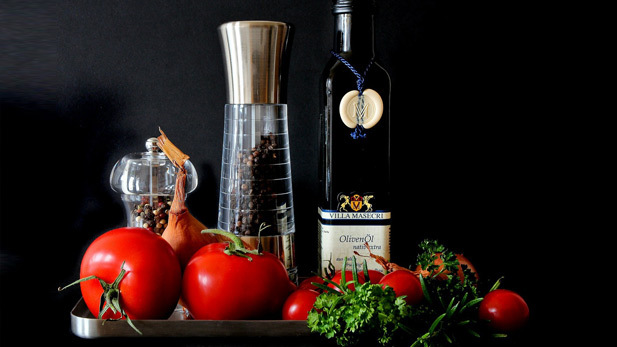 University of Arizona nutritionists will host a conference Wednesday on the value of the "Mediterranean Diet," a regimen that they say can reduce the risk of cancer and prevent obesity and diabetes. Fruits, vegetables, whole grains, beans, nuts, fish, olive oil and red wine are the primary elements of the diet. Donato Romagnolo, a professor in the UA Nutritional Sciences Department and a researcher at the Arizona Cancer Center, said a low-fat Mediterranean-style diet can help. "So that is the point of this conference," Romagnolo said. "Can we adopt it here in the state of Arizona and the U.S.? So, it’s going to take a great deal of effort involving scientists, educators, food producers, policy makers – it’s going to take a global approach to make it happen." The scientific conference is open to the public for a charge of $150 and will be held Wednesday, Thursday and Friday at the UA Student Union. The Tucson Museum of Art will host a conference-opening reception for the public Wednesday starting at 6 p.m.